With color picker, all range of artists will be able to cerate a more sensorial and visual insight of their surrounding nature’s colors. This is amazing innovation by Jinsun Park. 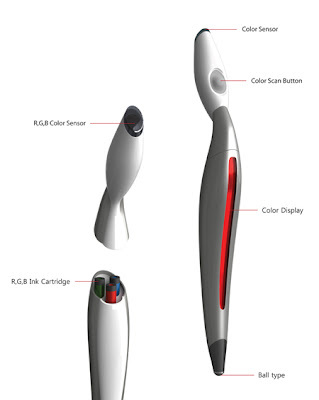 Color Picker is an great design of a concept pen that can scan colors from anything around and instantly use the color for drawing. After placing the pen in front of an object, the user just presses the scan button. 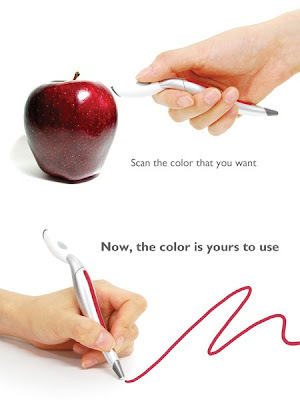 The color is being detected by the color sensor and the RGB cartridge of the pen mixes the required inks to create the target color. 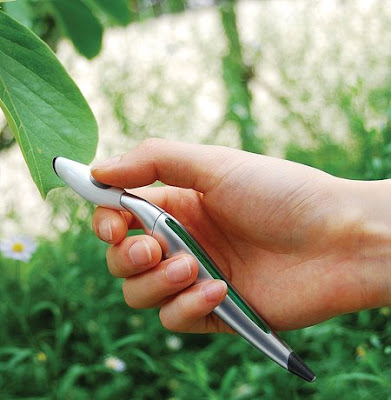 This superb device will help people to observe the changing colors of nature.